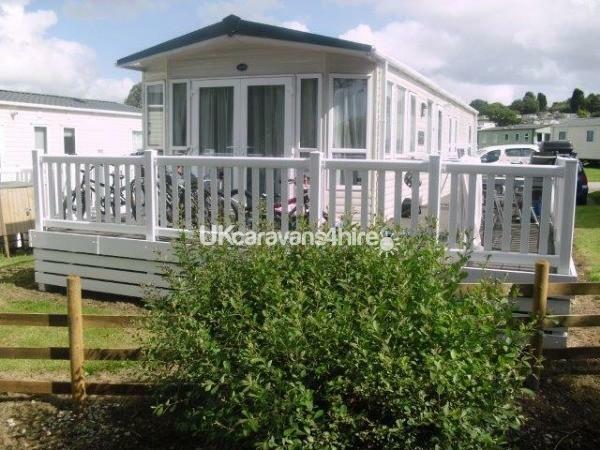 Additional Info: We have 5 luxury caravans and a Wessex Wooden Lodge at White Acres holiday park available to hire. 625, 606 & 601 Sycamore Forest All have decking on,427 & 428 have an enclosed decking and the 3 in Sycamore have a gate to keep your children or doggie's safe from wondering away. The deposit is £70 for each week or if the start date of your holiday is less than 8 weeks, the full price of the holiday is to be paid. If you want to take your doggie it is an £25 per doggie per week in the caravans. Can you please leave your Land line or Mobile contact number as well as a email address to contact you back Please. We do allow Dogs in our caravan. 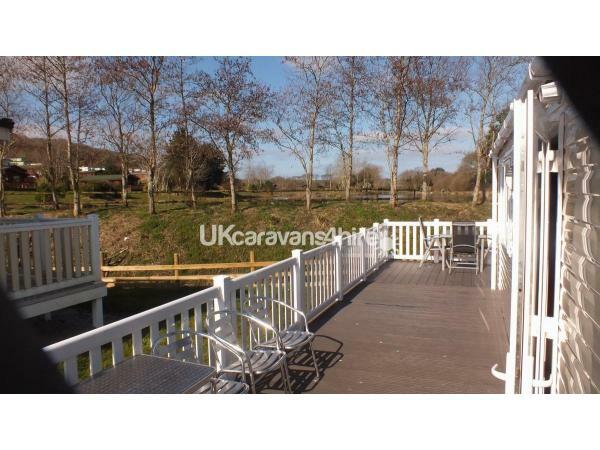 Our personal website is www.whiteacresholidayhomes.com to see more of our 5 caravans and our wooden lodge.. This caravan is our latest edition to White Acres on plot number 601 with the best views of Jenny's lake, we also have a lovely 6 berth on 625 Sycamore with the same excellent views of the Jenny's lake and now also 606 plot in Sycamore with a lovely Windermere 8 berth caravan with french doors out on to the decking that over looks Jennys lake only 30ft away. They all have decking on it with a table and chairs and a lockable gate. We have 5 other caravans also available on the White Acres park, on plot 427, 428 in Oaks Forest and 601 & 606 & 625 in Sycamore Forest. 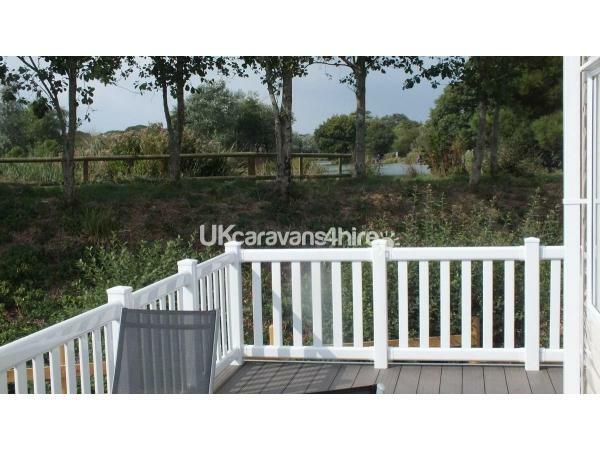 On the White Acres Parkdean site we now also a brand new Wooden Lodge on plot 52 opposite Jenny's lake, this is stunning with a large private decking area to the side..
We will give further discounts for multiple caravan bookings made and recommendations. So just email us on thegrafters@sky.com or call on 0774 7777 850, but be quick!! Our caravan are available for hire from Saturday to Saturday. Book or enquire now before the mad rush starts, get the week you want, not what's left. """"""If you like Fishing White Acres is the No1 venue for you""""""
The prices we quoted are for 7 nights. Dogs are allowed but you must speak with us first. Parkdean's entertainments passes are per person and are daily or weekly, under 2s are free. These are purchased direct from Parkdean on arrival at the site, or we could pre-order them for your arrival. If you don't wish to use the facilities on site, you will not need any of these passes. You'll find so much to do at White Acres, you will never be bored. 13 course fishing lakes, including a good selection of pleasure, specimen & match lakes. Please note if you are taking part in one of the festivals Parkdean will not allow you to stay in one of our caravans. Indoor pool with toddlers' pool. A local Scuba Diving club offers tuition in the onsite pool once a week. Crazy Golf, recreational field, and numerous children's play areas. A cash machine is on site, but will charge! 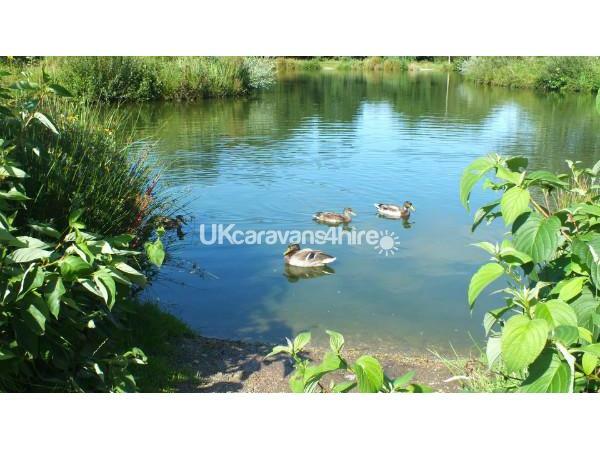 Fishing tackle and gear is not to be stored in the caravan. A lockable box is available directly outside the caravan for storage of your tackle. Sorry no all-young male / female parties. And no parties of all under 25s. 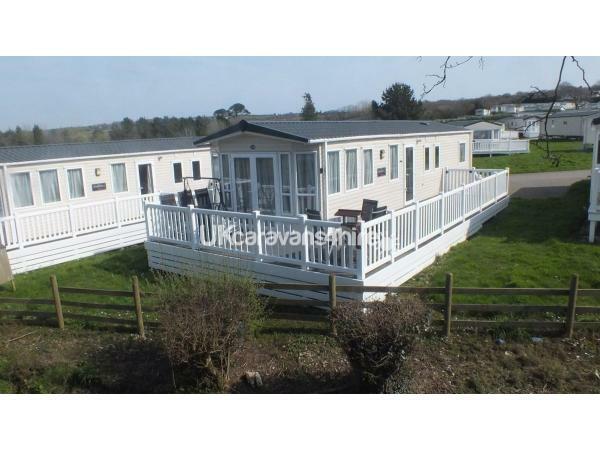 This is a Parkdean policy because it is is a family resort. A £70 deposit is required to secure any booking. The balance is then due 8 weeks before the holiday start date. Book now for 2016 to get the best dates and prices. 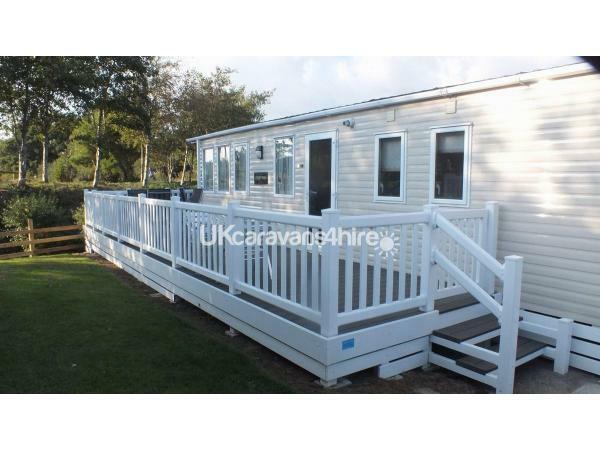 Our personal website is www.whiteacresholidayhomes.com to see more of our 4 caravans and our wooden lodge. 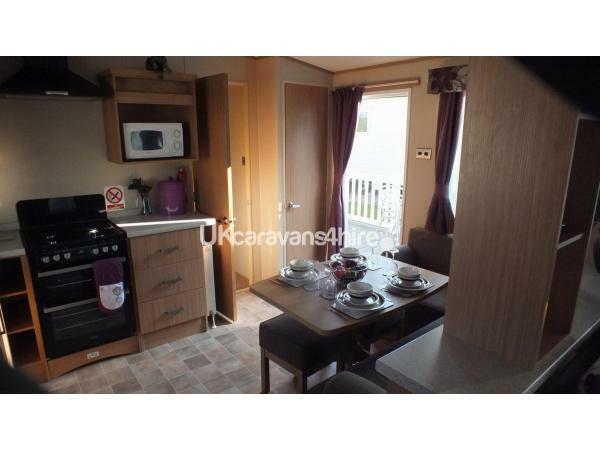 This caravan is our latest edition to White Acres. This has been sited on 30th November 2011 on plot number 601 with the best views of Jennys lake. It will have decking on it with a table and chairs and a lockable gate. We are taking bookings for next year and you only pay this years prices. or call on 0774 7777 850, but be quick!! Our caravan is available for hire Saturday to Saturday throughout 2012. Book or enquire now before the mad rush starts, get the week you want, not whats left. 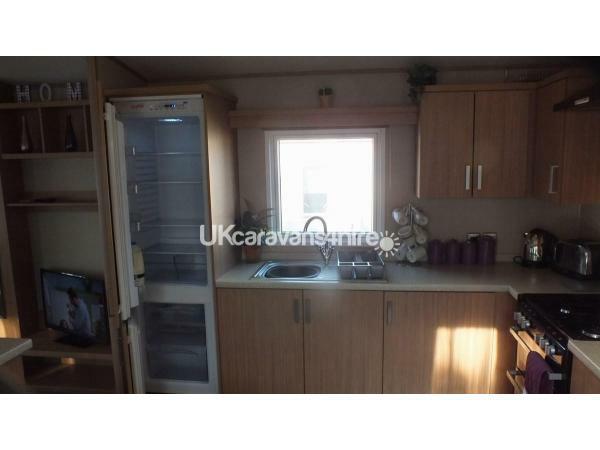 2012 Delta Jubilee style caravan. 8 berth. 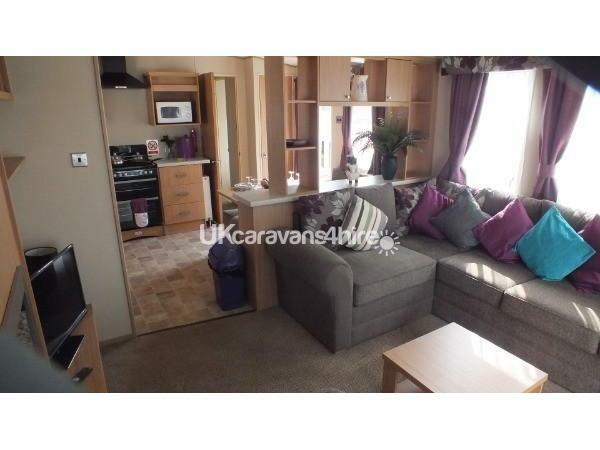 1 double bedroom, 2 twin bedroom and a further pullout bed in the living room. 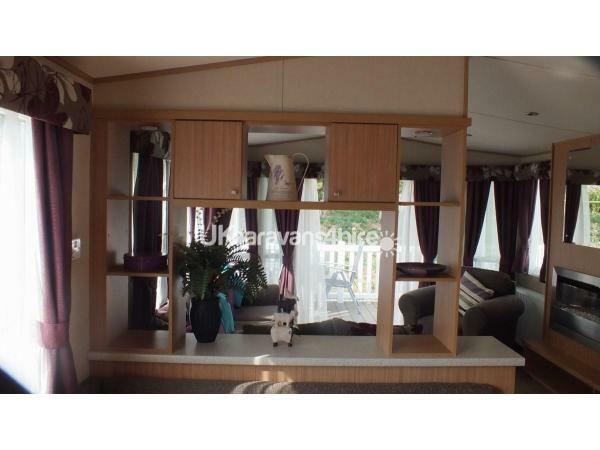 We have 1 more caravan the same and a 6 berth as well as above. Book now for 2012 to get the best dates and prices. Email thegrafters@sky.com Our personal website is www.whiteacresholidayhomes.com to see more of our 4 caravans and our wooden lodge.